If you believe that Benslow Music's work is important enough to support, please consider making a donation or remembering us in your Will. Benslow Music is probably unique. 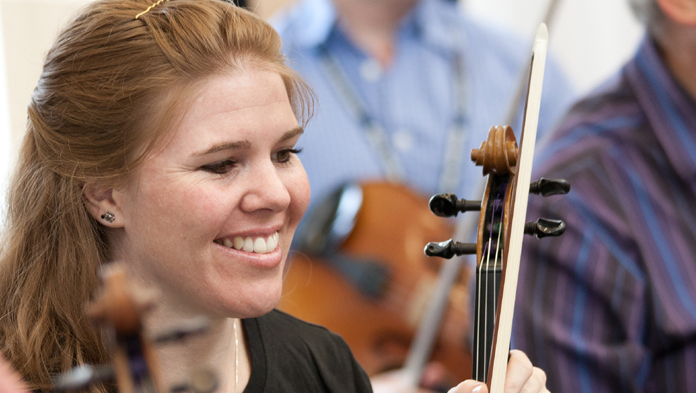 No other organisation in the world, as far as we can discover, offers as wide a variety of year-round short music courses for non-professionals, delivered by renowned performers and expert teachers in an atmosphere of friendly encouragement. We think this work is important. The practice of music can transform people, and we see that happening at Benslow Music week in, week out. Thanks to the foresight and generosity of previous benefactors, we are able to run these courses at competitive rates in a home which is secure for as long as we continue to do the job which we're passionate about. Yet we still walk a financial tightrope, and breaking even on our operation each year is a challenge. And despite many recent improvements to the fabric we know that we also still have much to do on that front. If you would like to donate a sum, small or large, to help us further our improvement and development or discuss a possible legacy, please fill in and send the form on this page or call our CEO on 01462 459446. Membership fees and donations can be made more valuable to us if you sign a Gift Aid form, enabling us to reclaim the tax you have already paid on the donated sum. If you would like to Gift Aid your donation, please complete the Declaration Form at the right hand side of this page and return it to us.